SiriusXM has announced that it will unveil the list of nominees for the 2017 Rock & Roll Hall of Fame first in a live broadcast on VOLUME, SiriusXM’s new talk-radio channel devoted to the discussion of music. The nominees will be announced on October 18th at 8 am ET, by Rock & Roll Hall of Fame Foundation CEO Joel Peresman and 2014 Rock & Roll Hall of Fame Inductee Stevie Van Zandt, live on Feedback, SiriusXM’s new morning talk-show on the VOLUME, channel 106. SiriusXM is the official radio partner of the Rock & Roll Hall of Fame, teaming up for a special series of shows leading up to the Rock & Roll Hall of Fame Induction Ceremony, presented by Klipsch Audio, which will take place in April 2017, at the Barclays Center in Brooklyn. In addition to the live announcement of the 2017 nominees on October 18th, SiriusXM will also carry special broadcasts throughout the year devoted to the Rock Hall’s inductees—past and present—as well coverage of the 2017 Rock & Roll Hall of Fame Induction Ceremony and other programs. The 2017 Rock & Roll Hall of Fame nominee special will air exclusively on Feedback, VOLUME’s new morning talk-show hosted by Nik Carter and Lori Majewski. VOLUME features a variety of programs dedicated to the discussion of music, with shows hosted by Melissa Etheridge, the editors of Rolling Stone, Anthrax’s Scott Ian, DJ Eddie Trunk, Elliott Wilson, Bill Flanagan, Mark Goodman, Kurt Loder, Alan Light, Jim Shearer and more. The channel is available to SiriusXM subscribers nationwide on satellite radios, and on the SiriusXM app and online at siriusxm.com. 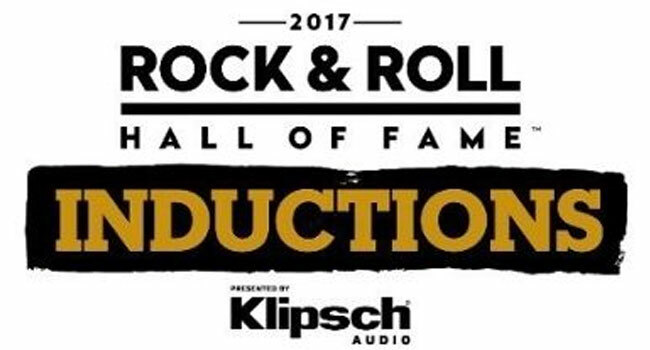 The Rock & Roll Hall of Fame Induction Ceremony, presented by Klipsch Audio, scheduled for April 2017, will be broadcast on HBO, as well as on SiriusXM through Rock & Roll Hall of Fame Radio, channel 310. Launched in 1986, Rock & Roll Hall of Fame first list of inductees included Chuck Berry, Elvis Presley, Fats Domino, James Brown, Jerry Lee Lewis, Ray Charles, the Everly Brothers, and more. Fans can officially cast their vote for the 2017 Rock & Roll Hall of Fame Inductees at rockhall.com. Voting commences on October 18th and ends at 11:59 p.m. EST on December 5th. The top five artists, as selected by the public, will comprise, a ‘fans’ ballot’ that will be tallied along with the other ballots to choose the 2017 Inductees. Voters will need to login in with their Facebook accounts or email. Vote will be limited to one ballot per day.